2017 was a crazy year for disasters, aided by an angry mother nature that saw major hurricanes in Florida and the Gulf Coast, to wild fires in California. All of it affects the way people use and consume water. Culligan Cares was there to help! In February, Culligan Cares collaborated with the Water Well Trust to raise money for families that do not have access to clean water. The first well project was for a family of six in New York that had been on a well wait list for nearly three years, as their well was too shallow and had contaminated water. In April, Southern parts of Missouri experienced massive flooding that prompted the governor to declare a state of emergency. Nearly 100 evacuated and up to three dozen had to be rescued from an area that received 3 to 9 inches of rain. Culligan provided bottled water, which Convoy of Hope’s response team delivered to the Ellington, MO community, where the local water treatment plant was flooded. In June, Culligan Water Conditioning of Syracuse, NY donated 45 five-gallon jugs of water to the American Diabetes Association’s Tour De Cure cycling event in Verona Beach, NY. Cyclers and bystanders alike needed it as temperatures reached a high of 87°. Perhaps the biggest event of the year for Culligan Cares came in late August, when Hurricane Harvey ravaged parts of Texas and the Gulf Coast. This included providing 6,000 bottles of water to the Katy Fire Dept. with assistance from the Culligan dealership in Houston, which supported over 200 first responders. Culligan also partnered with Convoy of Hope, a disaster services team that helped provide food, water and hygiene items to tens of thousands of people without power and water, to deliver 1,500 cases. 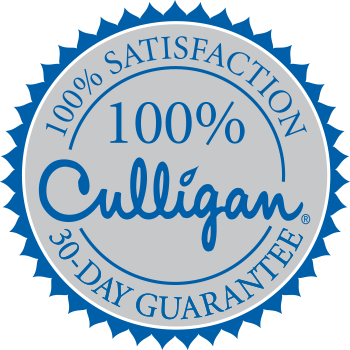 Overall, Culligan delivered more than 130,000 bottles of water to communities in need. As the leading quality water expert, Brookings Culligan is committed to help individuals, families and communities in need of clean, safe water.